Tirupati is one of the most famous temples of south India. 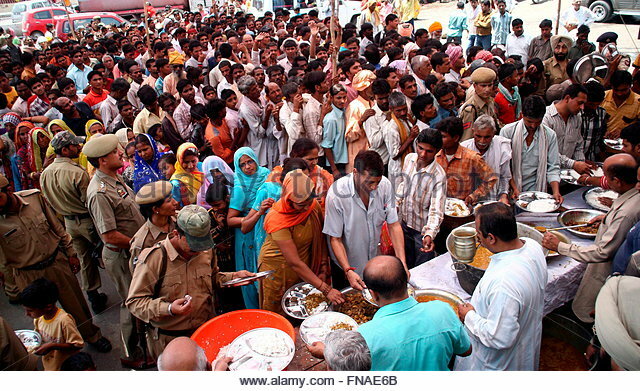 Everyday free food also known as Annadanam is offered to thousands of pilgrims who visit the temple. 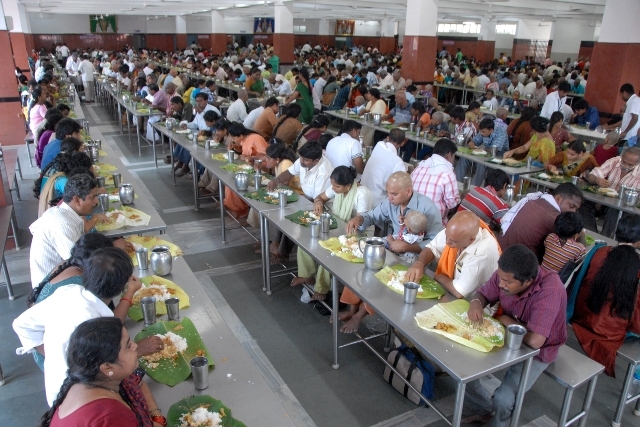 The devotees who contribute to the Annadanam believe that offering food (to the needy) without expecting anything in return is the purest form of devotion. Trip to Vaishno Devi can be a tough one with several kilometres of trekking in a cold climate. The only thing apart from devotion that can make the journey more interesting and can keep you going is hot and fresh free food. 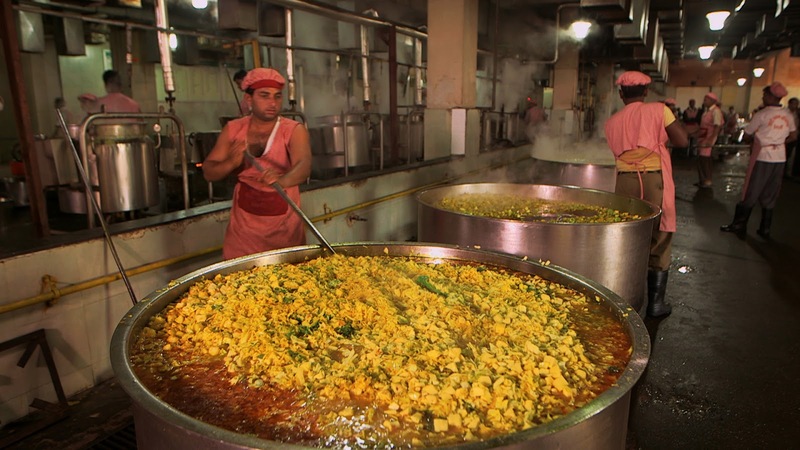 You can enjoy free food at various checkpoints en route to Vaishno Devi. These free food check points are run by Vaishno Devi Shrine Board and are mostly funded by donations from devotees. 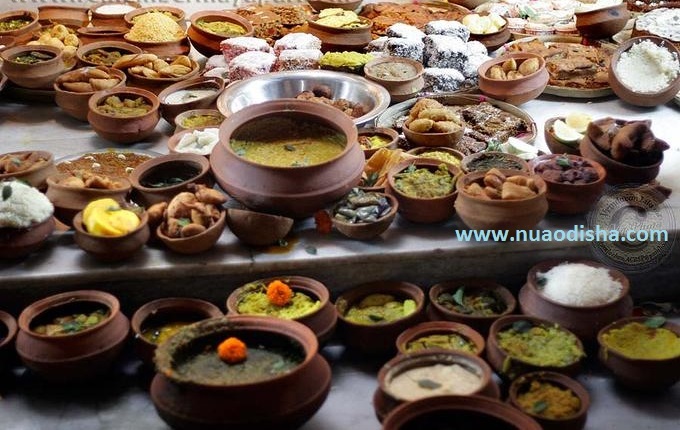 Darshan to the famous Jagannath temple is not complete until you enjoy the ‘bhog’ prepared inside. Here the food is cooked and served in utensils made of clay. The temple serves as many as 25,000 people on a normal day and around 100,000 people on a festival day. Rice is prepared in a unique way where 7 clay pots with rice grains and water are kept one above the other. The pot which is closest to the flame will be cooked last while the rice on the top pot will be cooked first. Now that is some real miracle! In addition to these, there are countless gurudwaras across the country where you can enjoy free langar throughout the year. India is clearly a land of charity, devotion and of course free food. Nice Article. Thank for sharing this post.